When Fábio Teixeira Cardoso de Carvalho sent us a one short video of his Brazilian 1977 Dodge Charger R/T build I was really excited to see and learn more as you don’t come across Mopars like this one very often, especially in such great shape. In fact, many mistake the Brazilian Dodge Charger with a Dart as both are built on the same A-body platform, but actually are quite different cars. 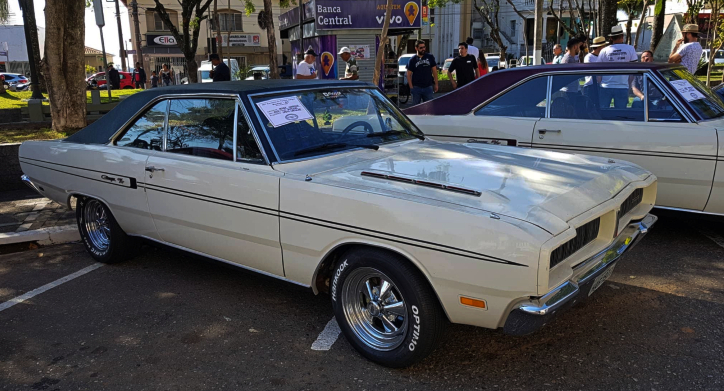 When Chrysler entered the Brazilian market in 1969 they introduced the American 1966 Dodge Dart as a new car and it was even picked for car of the year by Auto Esporte and the styling was changed significantly in 1972. This particular 1977 Dodge Charger R/T has always been a member of the family. 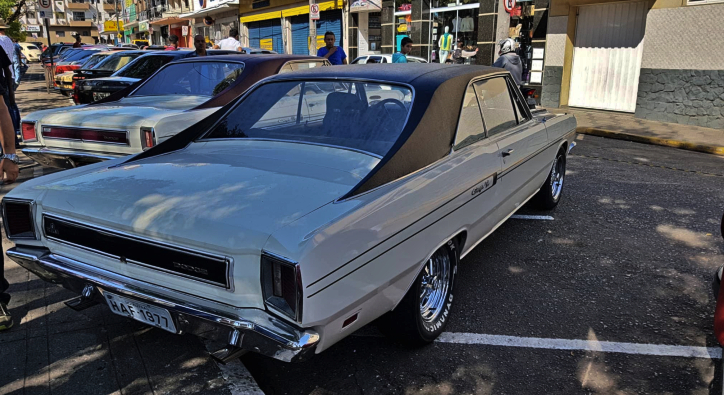 Fabio inherited it from his Grandfather, which explains why he is so obsessed with the Mopar and has done a great job preserving and upgrading the muscle car. The A-body looks really nice and the Cragar wheels gives it the authentic appearance. The motor is the standard for the Brazilian Dodge Charger 318 V8 factory rated at 215hp, but Fabio has squeezed 433hp out of it. The mods include: KB Hyper piston, high-performance Engle K8 cam, ported heads, Victor Jr manifold, 80lbs Siemens Deka fuel injectors, Procomp 1200cfm, Fueltech FT500 EFI and fast dual sync distributor.